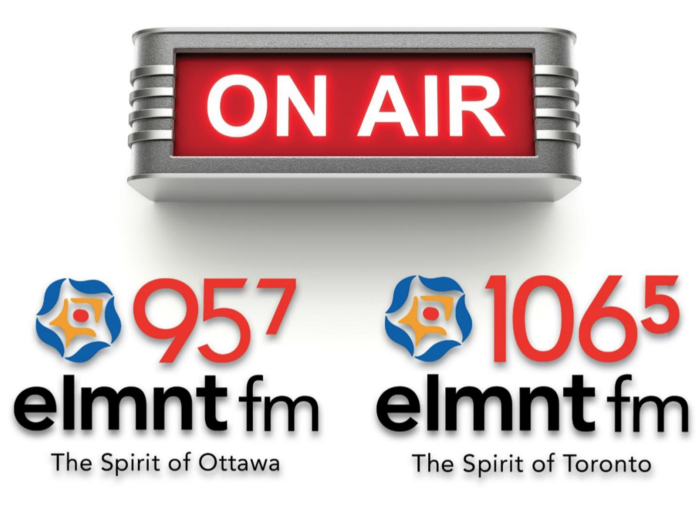 First Peoples Radio Inc. (FPR) officially launched its ELMNT FM stations in Toronto and Ottawa today at noon ET. FPR aims to fill the gap for urban Indigenous listeners who don’t hear themselves represented in the current radio landscape. The “Indigenous-variety” format will feature both English and Indigenous-language spoken-word and musical programming with 25 per cent of its playlist dedicated to Indigenous talent. In addition to local and national news and current affairs segments, the stations will feature content generated by APTN National News and The Canadian Press with plans for a network call-in talk show hosted by journalist David Moses, that will also air on stations operated by Missinipi Broadcasting Corporation in Saskatchewan and Native Communications Incorporated in Manitoba. Aiden Wolf, truck driver gone professional voiceover artist on weekday mornings, starting at 5:30 a.m.
Kayla Whiteduck, a multi-faceted Algonquin woman from Kitigan-Zibi and classic rock lover, on middays from noon to 3 p.m.
Cody Coyote, Ottawa hip-hop artist and DJ, hosts weeknights at 7 p.m., in addition to an all-star DJ music mix Saturday nights at 9 p.m.
Bob Magee, the former CHFI-FM personality returns to Toronto radio to host the ELMNT FM morning show, weekdays at 5:30 a.m.
Janet Panic, Juno-nominated Métis-bohemian pop artist hosts Panic in the Night on weekday evenings from 7 – 11 p.m.
Christa Couture, performing and recording artist, non-fiction writer, and broadcaster on weekend mornings, starting at 6 a.m.
“Basically we’ve never really had a voice in urban centres. Our musicians, if you tune in to any radio station, you’ll be very hard-pressed to find any Indigenous artists on them and if you do it’s very rare, very sporadic…so we want to break that cycle,” Jean La Rose, the chair of First Peoples Radio and CEO of APTN, told Broadcast Dialogue. La Rose also envisions the stations serving as a platform for dialogue to change perceptions of the Indigenous community. Listen to our full interview with Jean La Rose on Broadcast Dialogue – The Podcast.